PHAIR Cousins! “Friend” Nora Lee Mandel on FaceBook and we’ll include you in the PHAIR Family Circle Group for updated notices, sharing photographs, and cousins’ doings! Harold computerized the family tree, with as complete genealogical information as cousins provide, and is scanning in/uploading photos as well. Cousin, if you're not currently on our e or land mailing list and didn't receive a copy of the confidential family tree, let him know. To contribute information and photos or to get a copy of the tree, contact him at harold.shultz@gmail.com. We welcome long lost relatives to keep our tree current and growing! Here is the oral history of the family as told to Cousin Dianne Schwartz by Tanta Alta, with encouragement from Marty Klapper, as she traced how we are descended from one matriarch. We have so far chosen not to do further research into the past, but to memorialize our ancestors by keeping the family in contact for the future. Namesakes are added as annotations to illustrate emotional ties and traditions that are not included in conventional genealogies. We will start to follow the footprints of our ancestors since the year of 1849. That year in the Russian myesteshku (small village or district) of Pogost, Minska gubernyu (Province of Minsk) (1B), lived a widower by the name of Yankiv Meishe Zelikovich with his only daughter (a beautiful girl), Blume Reizul. At the same time there also lived a widow, Chaye Sore Lefkovich. She had two sons: Biniomin and Rifoel Mordche. The widower, Yankiv Meishe, and the widow, Chaye Sore were married and a son was born to them who was named Isroel Abe. This was the beginning of our family. Biniomin, the oldest son of Chaye Sore, was married. Four children were born to him and his wife Chana. The oldest child was a daughter, Nachama, who married a man named Hirshul. They lived in Luban, had a few children but no one knows what became of them. Biniomin's second daughter, Rochel, became the wife of Itzche. She was very unhappy and died in childbirth with her first-born. It was a boy who lived only a few months. The woman who nursed and cared for him accidently smothered the baby in her sleep, since it was customary for the nursing children to occupy the same bed as their mother's or nurse's. Gute (or Gussie, the name by which we knew her) was the third daughter. She married but had no children. Unfortunately, she was incurably ill and spent the latter part of her life in the Incurable Home of Brooklyn. The youngest child and only son of Biniomin was Leibel, who with his wife Ethel, lived in Perth Amboy, New Jersey(1). Three children were born to them. The youngest son(4) was killed in a flight over Germany in the Second World War. 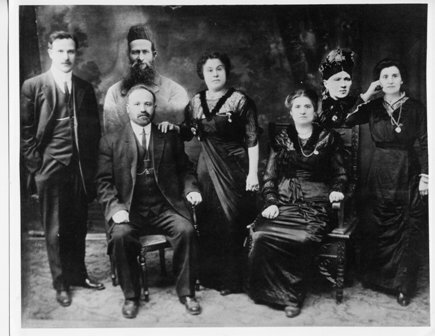 That is as far as it goes with the family of Biniomin, the oldest of the Lefkowitz (Lefkovich) family. Blume Reizul (the daughter of the widower Yankiv Meishe) married Rifoel Mordche (5), the son of her step-mother (the widow Chaye Sore). Six children were born to this couple: 1) Chaim Noach; 2) Peshe Leah; 3) Seine Malke; 4) Itzche; 5) Nachame Rive; and the youngest, Yushke. After the marriage of Blume Reizul and Rifoel Mordche, but prior to their having children, Isroel Abe was born to Yankiv Meishe (father of Blume Reizul) and Chaye Sore (mother of Biniomin and Rifoel Mordche). Isroel Abe(6) was, during his lifetime, a great scholar. His marriage to Hinda Malke (of Slutsk) produced a number of children of whom only two survived: a son, Schmul Itzche (who lived to the age of 26); and a daughter, Leah (or Alte, the name by which we all know and love her). The children of Chaim Noach(8) (the first son of Blume Reizul and Rifoel Mordche) and his wife Gute were: Chaye Rochel (known to us as Ida)(9), Fagel (Fanny), Chana (Helen), Leibel (Louis), and Molly. The marriage of Peshe Leah (the second child of Blume Reizul and Rifoel Mordche) to Avrohom Kreitchik was arranged by a schatrkn (matchmaker). Avrohom came from Slutsk where, after his marriage, he and Peshe Leah made their home. Peshe Leah was the first of the children of Blume Reizul and Rifoel Mordche to leave Pogost. At the time of this marriage, Peshe Leah's mother (Blume Reizul) was alive and both of Avrohom's parents were living. His parents rented land; they were wealthy people who were considered "city-folk". Avrohom died when he was about 36, and in the years following, Peshe Leah suffered great hardships in Russia. Seine Malke, the third child of Blume Reizul and Rifoel Mordche, married Ora Schwartz. They had no children but "adopted" and raised Rifoel Mordche (Philip) (the second son of Peshe Leah). This, of course, is why his name is Schwartz while his brother's name and sisters' maiden name is Lefkowitz. While Nachame Rive was pregnant with her first son, she promised that if she had a boy he would be named after Schmul Itzche, Alte's brother. Since it was considered bad luck to name a child after a young person, she used the combination of her father's name, Rifoel Mordche, and that of Schmul Itzche. When Nachame Rive(24) died (giving birth to a fourth child) at the age of 44, Phil(25) was 16, Marcus(26) was 14 and Harry was 8. Yushke, the youngest (born 1877) of the children of Blume Reizul and Rifoel Mordche, married Chana Fagel. (27) They had five children: Selma(28), Molly(29), Edith(30), Abraham(31), and Blume Reizul (Betty) (died in infancy). 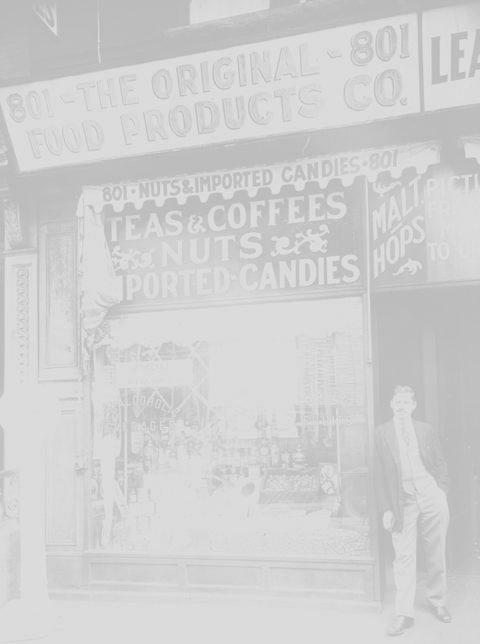 Some of the members of our family migrated to the United States in 1906. In May or June of that year, Esther, her daughter Rose, Mirke (Mary), Rifoel Mordche (Philip), Falke (Fanny), and Tanta Malke (Seine Malke) left Slutsk and traveled to Hamburg, Germany. When they reached Hamburg they had to stay there and wait for a ship to arrive. A week later one did arrive, the "Blickher", which took them to the U.S. (a fourteen day voyage). Esther's daughter, Rose, came down with the measles while in Hamburg and they both remained until Rose recuperated. When Alte arrived in Hamburg she encountered Esther and Rose and they then journeyed to the U.S. together. They arrived on July 6, 1906. From here on our family becomes much simpler--relatively speaking, that is. Everyone has a little bit to contribute. Our family tree needs a family. The "Phair Family Circle had its start in January, 1938. 1A. Some in the family think that the P in PHAIR is for Peshe Leah, and that makes sense because the other names are also Yiddish. (See Footnotes 19 and 25.) Peter Leonard Schwartz is her namesake. 1B. Since 1991, Minsk is in Belarus. Marty Klapper’s memoir recalls his mother Fanny saying they were from Slutsk, also in Minsk. 1. Leibel emigrated to this country in 1910, when his family name was changed from Lefkovich to Lefkowitz; he became a citizen in 1920 as Louis, and died in 1962. Ethel died in 1982; her great-grandson Todd Evan Napravnik was named for her, and his alternative name of Yosel Leibel, as was Jamie Leigh Mayerowitz, is for their great-grandfather. 2. Simon Lewis died in 1998. 3. Blanche married Louis Mayerowitz, who died in 1983, and had three children, two daughters and a son. Their grandchildren Allison Leslie Snyder, Melanie Lynn Snyder, and Jeffrey Louis Mayerowitz were named for him. 4. Reuben died eleven days after D-Day; Marla Roberta Lewis, Ricki Lewis, and Robin Napravnik were named for their uncle. 5. Richard (Rifoel Mordche) Cohen was named for his great-grandfather. 6. Robert Baumgarten's Hebrew name is Yisroel Abba in memory of Isroel Abe. 7. Unfortunately, we have lost contact with this branch of the family. 8. The family mostly agrees that Chaim is the H in PHAIR. 9. Ida and Fanny accompanied Peshe Leah's family to this country, then sent for three of their younger siblings to come over in 1921 with a chaperone, as they were all orphaned. Ida died in 1988. 10. Fanny Serulnick died in 1979; her namesakes are her great-grandson Michael Foster Serell-Erenbaum and her great-granddaughter Emily Faye Osman. Her husband Abe died in 1965. 11. Danny Serell changed his name from Serulnick. His two daughters named their first children Rachael Osman and Rebecca Serell-Erenbaum for his wife, their mother Rhoda. 12. Helen Kleger died in 1988. Louis was for a long time President of the PHAIR Family Circle. 12A. Molly's namesake is her great-granddaughter Molly Wolman; Sid Flitt’s namesake is Samuel Bier, who also has great-grandfather’s Hebrew name “Shea”. 13. Louis fought with the Abraham Lincoln Brigade in the Spanish Civil War (He arrived in Spain April 2, 1937, served with the XV BD and Washington BN units at Jarama, Brunete and was sent to the hospital July 7, 1937); he died in 1988. Lillian died when she was 41. 14. The family agrees that the A in PHAIR is for this Avrohom Mordche. His other namesakes include his grandsons Abe Schatz, Abe Klapper (See Footnote 16), Marty Klapper, Marcus Schwartz, Marcus Lunnin and Marty Ellman (See Footnote 20). Abe Klapper’s namesake is his great-grandson Marshall Asher Neukamm. Marcus Schwartz’s namesake is his great-granddaughter Maia Sophie Nakisbendi Mayers; her sister Aliya Rose Nakisbendi Mayers is the namesake for his wife Rose. 15. Esther Schatz had three children-- Rose (mentioned at the end of this history), who died in 1967, Abraham, who died in 1969, and Benny, who died in 1971. Abe's two children each named their first child for him, Amy Schatz Stinson (who named her two children, Corey Edward Stinson and Emily Alexis Stinson, for Abe's son, her father, Edwin Schatz) and Allison Fox Colpo (who named her daughter Stephanie Colpo for Abe's daughter, her mother, Sheri Schatz Fox). 16. Mary Klapper died in 1970. Her namesakes are her great-granddaughters Amy Michelle Weinberg Lieberman (who named her son Gabriel Seth Lieberman for her grandmother Sylvia Klapper Weinberg, and her grandfather Sam, as did her sister Beth Weinberg Taubman in naming her son Samuel Paul Taubman) and Mierka Drucker (who named her son Maxwell Abraham (Avraham Shaul) Borrello and her daughter Aldyn Lily (Avivah Leonah) Borrello for her father Abe Klapper, and her mother Lillian). Mary’s daughter Shirley Klapper Shultz’s namesake (in the Sephardic tradition) is Samantha Laura Levy. 17. Fagel (Florence) Lunin died in 1975. 18. Fanny Klapper, who died in 1965, married her sister Mary's husband's brother -- the second instance that the family has of two brothers marrying two sisters. 20. Bertha Ellman died in 1922, when her son Marty was only three; he died in 1986. Barbara Ellman was named for her grandmother, while Marty Klapper Fernandez was named for Marty Ellman. 21. Abraham (Abe) Marcus Lefkowitz, who died in 1955, had two children who each named their first child for him, Alan Mark Strauber and Adrianne (Aviva) Michelle Lefkowitz Roy. 22. Itzche, who, everyone in the family agrees, is the I in PHAIR, emigrated about 1915 and settled in Saco, Maine; his wife and daughters joined him there in 1923. 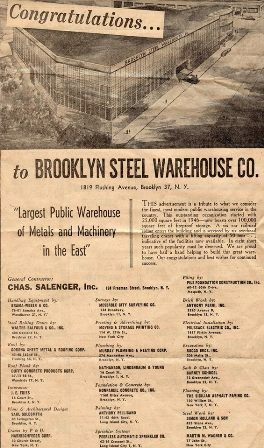 When he died in 1935, they came to Brooklyn to be with the rest of the family. Dviere (Dora) died in 1946. 23. Bea died in 1956. 24. Her namesakes include Nancy Mayers and Naomi Schiller, who was born the same week that Nachame Rive died. 26. Marcus, an orthopedist, died in 1979. His great-grandson Zachary Marc Knudson is his namesake. His great-granddaughter Tessa Rose Knudson is named for his wife Rose. 27. Yushke, who was known to everyone as Joe Lefkowitz, emigrated to this country in 1903, before his wife. He died in 1969. His namesakes include his great-grandson Jason Baumgarten and great-granddaughter Joy Lefferts Neimark. 28. Selma Creston died in 1987. 29. Molly Baumgarten died in 1981. 30. Edith Cohen died in 1982. 31. Abe Lefkowitz changed his name to Alan Lefferts. His namesakes are great-grandsons Darren Alex Neimark and Beck Alexander Lefferts. His wife Anne’s namesakes are their grandsons Aidan Neimark and Austin Lefferts. Getting to know you -- to bring our history more up to date, here's more about your family members. Let us know to add your link! Brian Cohen is the author of the novel The Life O'Reilly. Jonathan Cohen completed the 2017 NYC Marathon, after several triathlons. Bill Creston had a career as an artist. Ola Creston and her husband George Brittenburg encourage Community-Supported Agriculture through their organic Taproot Farm. Meet them and buy their certified organic produce at Philadelphia area farmers’ markets! Sena Clara Creston is a visual artist and teaches at Washington State University, Tri Cities. Eric Ellman is helping to grow AR3 Magazine., to encourage environmentally conscious development in Africa. “In an unusual step in the booming border crossroads city of McAllen, the federal Fish and Wildlife Service has taken a role in the debate, providing a rare permit to, Los Caminos del Rio (Ways of the River), to run scheduled biking and kayaking outings into the long-restricted Lower Rio Grande National Wildlife Refuge. Members have to announce their visits ahead of time to tip off the Border Patrol and assure protection from the human smugglers who infest the refuge — like, for example, the three jumpy fellows who had just crossed the river from Mexico the other evening to stash a bag of dry clothes for nightfall. Eric Ellman, executive director of the 17-year-old Los Caminos group, said the strategy was akin to that devised in New York City at the height of the 1970s crime wave. ‘Legal activity will displace illegal activity,’ Mr. Ellman said, maintaining that the presence of ecotourists would make the refuge less appealing to illegal immigrants and drug smugglers. Marty Fernandez, PhD, conducts biological research at Brigham and Women's Hospital/Harvard Medical School. Sam Goldenberg described his academic experience at the London School of Economics, where he earned a MSc Conflict Studies. Iris Lee [Klapper] champions literacy in Boulder County, CO.
Marty Klapper’s memoir From Four To Forty: and then some is available in print and free digital download. Dr. Robert Klapper is an orthopedic surgeon, and podcasts on ESPN Radio’s Weekend Warrior. Zac Marc [Knudson] is The Glass Artist in Coral Springs, FL. Steve Lefferts manages CrossFit Boca Raton at “The Garage” in Florida. Adrianne Lefkowitz Roy works for U.S. Dept. of Agriculture’s Animal and Plant Health Inspection Service. Boaz Levy works for International Lease Finance Corp..
Maxine Levy is a First Vice President at Bank Hapoalim in New York, responsible for Israeli business investments. Her involvement with WomenHeart led her (and her family) to be featured on the NBC News about heart disease prevention and treatment for women. 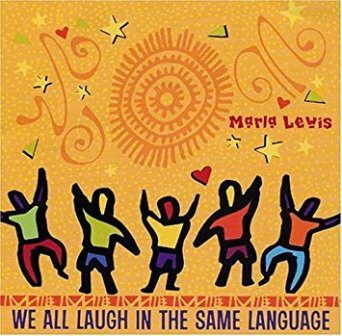 Marla Lewis is a musician, entertaining children and families. 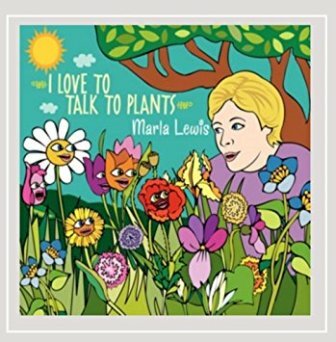 Her song “Leap of Faith” is on the Grammy-winning All About Bullies. . .Big and Small CD. 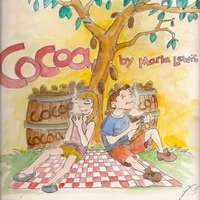 In 2013, she released an EP Cocoa!. Ricki Lewis is a graphic designer. Pam Loeb volunteers with Fidos for Freedom to train service, hearing and therapy dogs for people who are physically challenged, deaf, or hard-of-hearing. JoDee March is an interior designer with Big Sky ReDesign in Montana. Dr. Michael Mayers and his wife Dr. Leyla Nakisbendi are dentists in practice together. Gabrielle Miller started the family business Word Nerd, making fun, wordy T-shirts. A portion of their profits go to local libraries. b>Bonni Pactor Connect Me, Capital, providing recruit services for the financial industry. Scott Schwartz blogged about trademark issues. 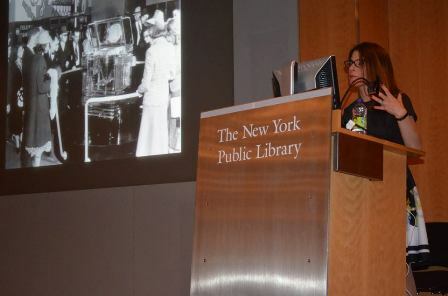 Danielle Schwartz Shapiro was quoted in The New York Times Magazine, 6/7/2013 “Innovations Issue”, at “T is for Turnstile” about her research on industrial designer John Vassos. Her book John Vassos: Design for Modern Life was published by University of Minnesota Press in 2016; Choice Magazine of the American Library Association chose it as an Outstanding Title in History and Technology of the year. 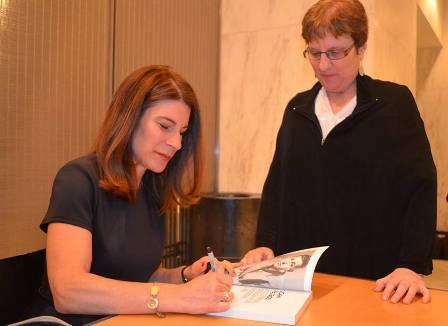 She gave talks with signings at book stores, libraries, and museums in Baltimore, MD; New York City; Haddonfield, NJ; Wallingford PA; and Washington, D.C., as well as in Connecticut and Delaware. And at NASA’s Goddard Space Center. Check her Vassos updates on her blog. For her earlier research, she got coverage in Cox News Service, Inappropriate Banter by Robert Kelly-Goss on June 25, 2006: "So what's happening in the culture? Cell phones are now commonplace yet there appears to be a strain of discontent in how and when the communication devices are used. 'People are reacting to people bringing private business into public spaces,' said Danielle Schwartz, Ph.D., an analyst with Context Research, a Baltimore, Md., consumer-research group. Context recently conducted a study titled The Mobiles: Social Evolution in a Wireless Society. In that study researchers looked at the way wireless technology is changing the culture, specifically younger generations. In short, the study presents a new culture of technologically savvy youth who have incorporated cell phone technology into the fabric of their day-to-day existence. 'Cell phones create a subculture of teens who relate and talk to each other outside of their parents' watch,' Schwartz said. . .Robbie Blinkoff, the anthropologist who led Context's study, told Wired Magazine that teenagers who are immersed in cell phone technology do not see much difference between personal, face-to-face conversations or talking on a cell phone. Those teens, therefore, are on the cutting edge of a new culture that will potentially grow into their adult lives with values and understanding of societal norms different from the preceding generations. 'Communication is now different from what their parents experienced, Schwartz said. . . Context's Blinkoff also told Wired Magazine that according to his study he doesn't perceive teens as being intentionally rude. Rather, they represent a "digital divide," a sort of technological have and have not. And Schwartz added that they are 'reacting to new technology. The rules have to come from within the culture,' Schwartz said of cell phone use. And that could take time because technology does change rapidly these days and sometimes with that rapid change comes a change in rules. 'It's almost like when any new technology immerges, we don't know how to handle it,' Schwartz said. But eventually we will." Her graceful transition to becoming Danielle Shapiro was covered in Baltimore’s Jewish Times. Dianne joined forces with Marilyn White in 1988 to actualize the development and expansion of Realization Center. Dianne, a CPA in her first career, is now a seasoned clinician and because of her recovery and the suffering that comes with food addiction, her interest and passion is food addiction recovery. Realization Center is the oldest and largest outpatient addictions treatment program in Manhattan and Brooklyn Heights. It is a unique, comprehensive, full service outpatient addictions treatment program that offers specialized treatment for men’s, women’s, and adolescent’s substance abuse issues, food addiction/eating disorders, co-dependency, gambling, sexual compulsivity, as well as numerous mental health issues such as depression, anxiety, post traumatic stress, sexual trauma, family of origin issues, domestic violence, anger and stress management, school or job difficulties, family conflict, parenting difficulties and relationship problems as they relate to chemical dependence. The Center is dedicated to the healing of the human spirit through a profound and very real emotional recovery. Dianne developed the True Recovery Food Addiction Treatment Program at Realization Center and has been offering a 15 week lecture series for all clients on the relationship between their eating behavior and their alcoholism and/or drug addiction, how their eating affects their sobriety and potential for relapse and how it all began. Over time, as the reputation of the Food Addiction Treatment Program grew, individuals who had eating problems and did not use alcohol or drugs came into the program, and realized treatment success in food addiction recovery. 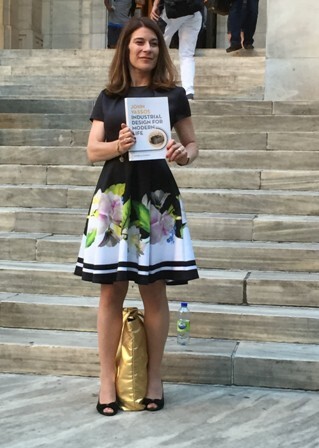 Dianne’s book It’s Not Broccoli, True Recovery From Food Addiction is an outgrowth of that series. Dianne can be found in the Center daily devoted to helping people recover and lead fulfilling, productive lives. Avi, Ben, and Harold Shultz - updates. Shirley Shultz celebrated her 90th birthday with PHAIR family in 2016. Historic building gets needed TLC by Kathleen Di Simone in the 12/26/2008 of The Hyde Park Townsman.com: The Hoyt House was left dilapidated for decades. That is, until Alan Strauber arrived on the scene. Strauber is a U.S. history professor at Hunter College who said he first saw the house about eight years ago while hiking the surrounding property at Margaret Norrie State Park in Staatsburg. "I came over the hill and saw this stunning house," he said of his first encounter. But he also noticed it was "obviously in need of repairs." After talking with the New York State Office of Parks, Recreation and Historic Preservation, Strauber began collecting information about the history of the Hoyt House and details of its ownership. The house was designed by Calvert Vaux, an architect and landscape designer whose other projects included Central Park and Prospect Park. Vaux was hired to design the house for a wealthy man named Lydig Hoyt and his wife in the 1850s. Strauber said the house had been purchased by the parks department later on, in the 1900s, after residents were convinced to move off the property so it could be used as part of the park. He then formed the Calvert Vaux Preservation Alliance, consisting of himself and other citizens who had an interest in saving the house. The committee was then recognized by the State of New York Office of Parks, Recreation and Historic Preservation as the "officially authorized friends group of the Hoyt House," said Strauber. He explained that this puts the group in charge of collecting money to repair the building. After less than a decade, the house's first phase of repairs is complete. Stones were restored to the back wall of the house as well as the front. Strauber said that some of the stones may have possibly been "carted off by ... vandals." "This is going to take more time and more funds. This is just the beginning," said Strauber. He explained that the committee plans to finish repairs on the outside of the house, then move on to fixing up the interior. Strauber explained that though the state will not sell the property, it will lease it to an applicant who plans to use the house for "adaptive reuse." He suggested that an adventurous entrepreneur consider using the house for such business as a bed and breakfast, which has been proposed by some parties of interest. He also mentioned the possibility of a school or institute using the house as a research facility. Strauber's motivation for saving the house is sincere, and in keeping with a U.S. history buff's intentions. "(The house) is important and sits in the middle of the Hudson Valley landmark district," said Strauber, who called the district "an important historic area, not only for New York state, but for this country." He continued by saying, "There's no plausible reason for this house to be in the condition it's been in for the last 40 years or so." Strauber said the Calvert Vaux Preservation Alliance plans to schedule a fundraiser this coming summer to gain more support for further repairs on the house. "We're not at the end yet," Strauber said. "It's in progress but we're off to a really good start with this work, and there will be more." The Poughkeepsie Journal.com saluted him on 12/29/2008: "To the group restoring the historic Hoyt House in Staatsburg for completing the first phase. Located only a few miles north of Hyde Park within the Margaret Lewis Norrie State Park, the Gothic Revival structure, originally known as "The Point," was designed in 1855 by architect Calvert Vaux for Lydig Hoyt and his wife, Blanche Geraldine Livingston. The house fell into disrepair in the 1960s. Recent work on the structure has included replacing fallen stone and masonry on the house's north wall and front portico section, said Alan Strauber, president of the Calvert Vaux Preservation Alliance, a nonprofit organization dedicated to the preservation and restoration of Hoyt House. The first phase of restoration work was completed with the assistance of the state Office of Parks Recreation and Historic Preservation. Support was provided by the Friends of Mills Mansion and the National Trust for Historic Preservation. The Hoyt House is within walking distance to Mills Mansion. "This is just the beginning," Strauber said. "There is much more work to be done to return the Hoyt House to its full grandeur as a jewel of the mid-Hudson Valley. With the continued support and expansion of our member and donor base in the coming year, we will push toward completing this mission." A spring fundraiser concert on the lawn of the Hoyt House is planned." He has also helped establish the Vauxwatch, a watch list of architectural and landscape design sites affiliated with Vaux and his nineteenth century contemporaries. These are sites that are endangered or would benefit from closer monitoring. "Vancouver - The way Charles Weinberg sees it, the Hollywood film business is like a $6-billion game of chicken. Schedule your modest little no-name art movie against a mega-budget, star-studded Hollywood epic that spends tens of millions on hype and you're going to get run right off the road. Before you dismiss Mr. Weinberg, a marketing professor at University of British Columbia, as just another pop culture buff with lots of opinions, consider this: He has perfected a system for predicting the staying power of hit movies, and it works. The mathematics expert says he has applied game theory -- the analysis of competitive strategies where choices depend on the actions of others -- to develop an analytical model called 'Silverscreener' theatre chains can use to decide how long they should book films. Because movies have a relatively short shelf life, theatres need to squeeze as much revenue out of them as they can. 'Unlike a lot of products that build up over a period of time, movies decline in popularity,' Mr. Weinberg says. The cinema business is intensely competitive. Theatres often bid to show certain films even months before the movie has been released and before the theatre knows how popular the movie will be. Mr. Weinberg's system involves grading films on the basis of several criteria, including star power, genre, director and rating. Using analytical mathematics, Mr. Weinberg then predicts how the film will fare over an eight-week period. The prediction is honed each week as box office data become available. A cinema chain in Holland recently experimented with Mr. Weinberg's Silverscreener and found that a theatre using the system outperformed two theatres that relied solely on the manager's instincts. The Dutch chain is planning a second test using a greater number of theatres. Hollywood could use his help. A typical movie for the mass market costs about US$75-million, of which two-thirds is devoted to marketing alone. The majority of movies do not earn enough to cover their costs. Studios count on blockbusters to subsidize the money-losers through high box office sales and successful spinoffs from books, videos and merchandise relating to the movie. But, so far, major studios and North American cinema chains have not come seeking his advice. Some of Mr. Weinberg's earliest marketing research in the 1970s focused on symphony and live theatre subscriptions. From there, he became intrigued by the short shelf of movies and the games movie studios play in marketing them. His research suggests that Hollywood studios err by focusing too much of their marketing efforts on the film's opening weekend. The studios, which on average make about 25% of a film's total gross in the opening weekend alone, should instead try to spread out their revenue, he says. They should work to give a movie the 'legs' so it has a longer shelf life with consumers. Mr. Weinberg says his research provides cinema executives with some tools to help predict the film's popularity. Theatres split box office proceeds between themselves and the movie studio. In the first week, for example, the studio can take as much as 90% of the proceeds while the theatres get only 10%. With each successive week, the theatre gets a bigger share of the proceeds. Mr. Weinberg says his Silverscreener system gives theatres tools to pick the films that have the longest shelf life, bringing in a steadier stream of revenue. Of course, theatre managers could rely on their gut instincts. But Mr. Weinberg says his system can speed up decision making by focusing on key variables. He says it also develops alternative outcomes, so it can prevent managers from overlooking something." His research on movie marketing continues through 2016. He presented a paper on “Hollywood Movies in China: An Empirical Analysis of Entry and Box Office Performance" at the 18th Annual Mallen Economics of Filmed Entertainment Conference in New York City.